When I began this project, it was strictly a poetry project. I wasn’t yet thinking of translation-objects and building boxes to house them, but I was already thinking in terms of planes, and specifically squares. I knew that, in addition to making plane-poems, I wanted the entire collection to create a plane, to form a square of some sort. 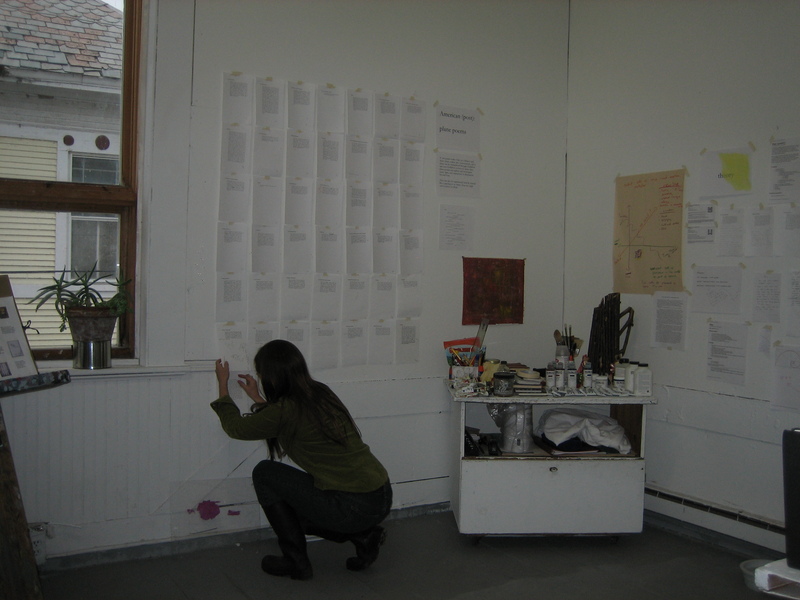 I figured that the number of poems could provide the basis for the collection’s plane. To form the square that I envisioned, I would write a specified number of poems that had an interesting square root and made a square that resonated with the questions and themes I was exploring. Contemporary poetry books in the U.S. tend to have a minimum of forty-five pages and to max out at about eighty pages. Since none of my plane-poems would be longer than a page, I would be able to fit into the standard book range, and also form a square, by adopting the squares of 7 or 8, which is to say, by planning to write either forty-nine or sixty-four poems. I first considered creating a collection of sixty-four poems, but I don’t really like its square root, the number 8, nor did I like the fact that both 64 and 8 are even numbers. I wanted something with a center. I wanted something odd. 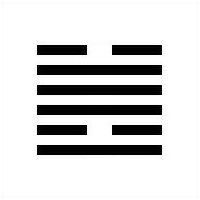 Still, a friend pointed out that 64 is “Wei Chi/Before Completion (Not Yet Fording)” in the I Ching, and as such provides a hopeful close to the I Ching system. Hope might seem like a potentially good note on which to premise my exploration of “America” and “Americanness.” Further, alternative thinkers like José Argüelles, John Major Jenkins, and Jay Weidner staked out wildly fertile territory for 64 and transformation during the current era, and ethnobotanist, shaman, philosopher, and psychedelic guru, Terence McKenna, had made claims to interesting correspondences between the I-Ching, the 64 codons in human DNA, and theories of coherence, which had contemporary American (broadly defined across the Americas) cultural referents and resonances that might add interesting twists to my efforts to explore and explode the binary oppositions informing dominant discourses about “America” and “American.” I had to argue my way out of writing sixty-four poems. It turns out, however, that the argument with myself wasn’t tough to win in the end. For McKenna, sixty-four was about the “omega point,” or the end of time, and thus not directly relevant to my vision for this project. I wanted American (post) to be about encounter and transformation. I found that 49 and 7 made a compelling case as the obvious choices to shape this collection. In the I Ching, 49 is “Ko/Revolution or Radical Change (Molting or Skinning)” and 7 is “Shih/The Army (Leading).” Moreover, when I did a Wikipedia search for 7, I discovered pages and pages of global referents for 7 that spanned disciplines, religions, history, art, and natural phenomena. Thus, to “revolution” and “army,” I added “Venus,” goddess of love, and “bronze,” a resonant metal, whose age kicked off the trajectory of human existence and experience that I locate at the heart of the binaries I’m interested in. To top it all off, the sum of all the numbers in this square can somehow add up to a triangle, which is useful, because not only do three points create a plane, but they also create a triangle, and according to Nichomachus of Gersa, as quoted from a book on sacred geometry by Michael S. Schneider, which sound therapist and wellness educator, Eileen McKusick lent me, “the Triad is the form of the completion of all things.” With a Venus Square in play, it turns out that I might be able (required?) to grapple with both revolution and completion in the same experiment. It seems that I’ve hit the mother lode of useful referents with 49 and 7, and that’s what’s with the number choice. As you experience the evolution of this project, and if and when it raises questions for you or calls to mind books, art, history, happenings, and other references that you deem relevant, please share them with me via the comment options on the Contact page of this site and/or following each dispatch about the project. I look forward to hearing from you.